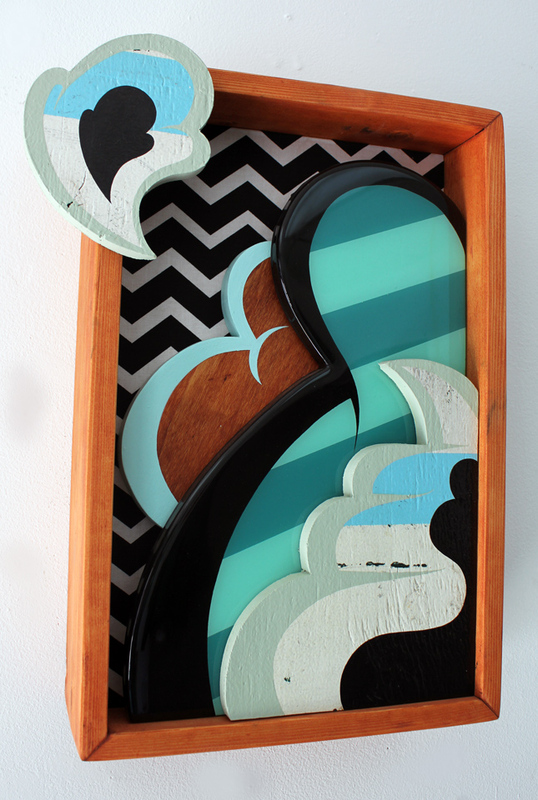 Alex uses wood, acrylic and enamel to create all kinds of amazing pieces of artwork. This kind of work, the building up of layers, is something I’ve been fascinated with for a long time. It’s really fun to come across artist who are doing it in such a funky and unique way. 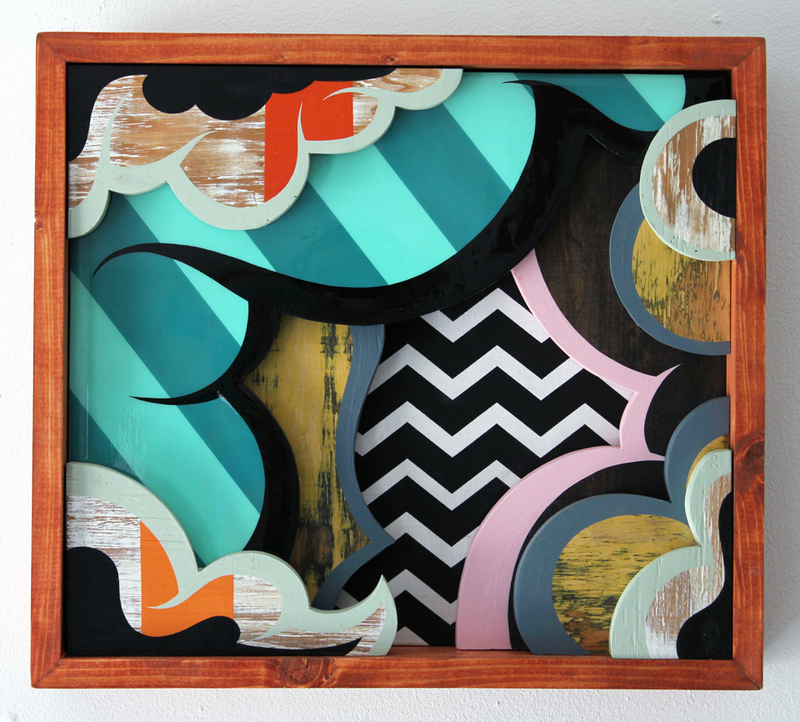 I’ve seen this type of work done with paper before, and I myself have even made artworks build up by layering paper or cardboard and raising cut out’s within a frame. Creating an art object essentially is what’s happening here and I think it’s really great! 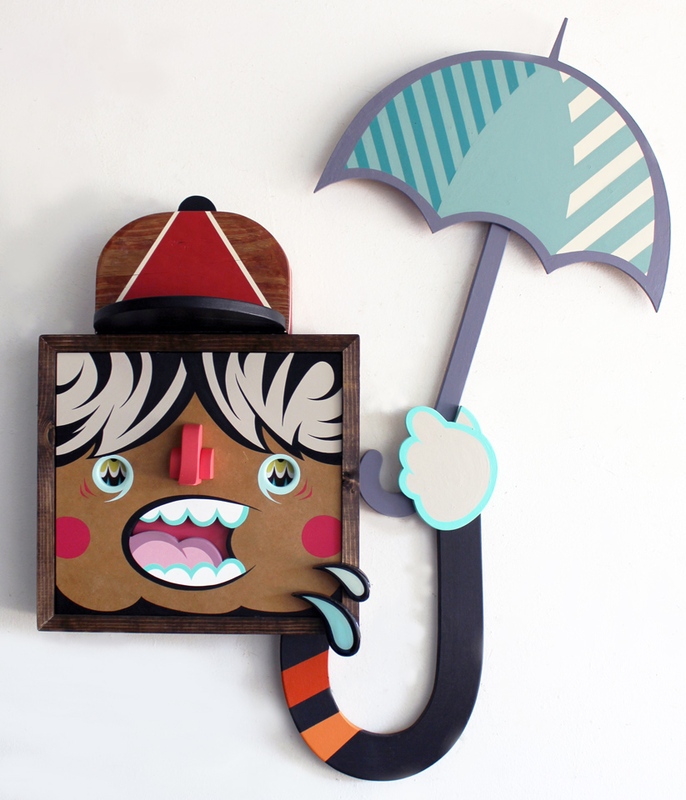 His work is so playful and fun, and it’s graphic too. It’s a really interesting blend of FLAT and 3D. The flat shapes painted on the three dimensional structures. 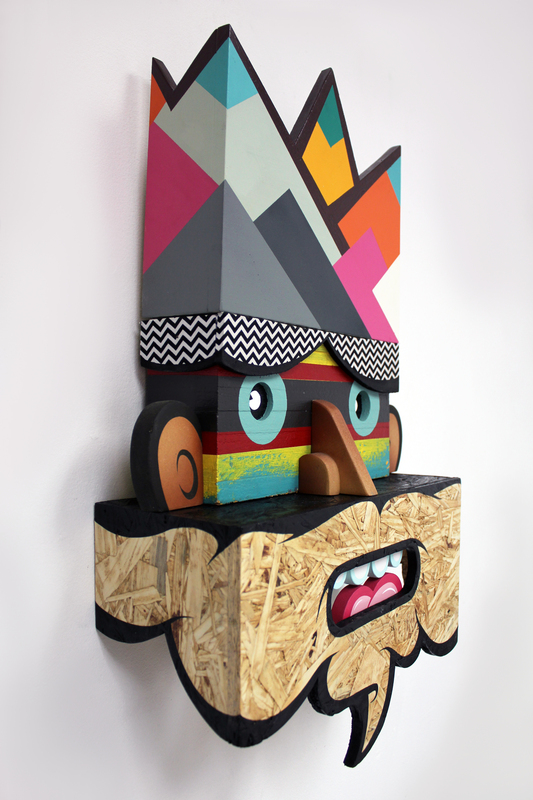 I read up about Alex Yanes on his web bio. He was born, and still lives in Miami where he works as an artist, and raises his family. He is inspired by his upbringing. Growing up in the 80’s and 90’s and being immersed in the skateboarding and hip-hop culture. Yanes has made ALOT of work to date. In fact on his website he has some fun facts listed which state that he has created 891 pieces of art! He started making art in 2006! That’s ALOT of work in nine years! It’s no wonder he has really honed his skills and has some major clients under his belt such as Google, Disney, and Vans. 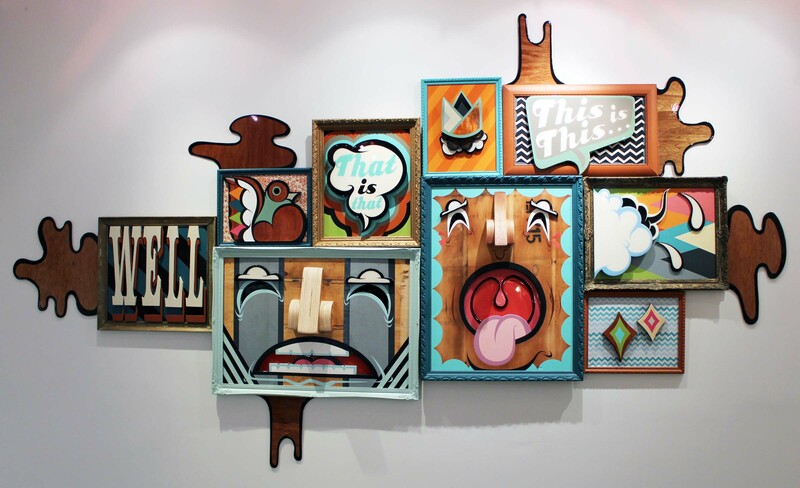 Yanes contributes to his community as an artist by working with local foundations to get kids interested and passionate about creating, which is a really great way to give back to his community. I imagine that kids just love his work! Please visit Alex’s killer website to learn more about his work! His stuff is terrific! I love the use of three dimensions, the bold colour and the fun factor. Thanks for bringing this artist to my attention. This is AWESOME! I can see the 80’s influence and that of Miami, too. Thanks for sharing this. I’m going to have to look into his work which as you said, is already so plentiful!